Here at North West Aggregates Burnley, the decorative slate that we supply can be used for paths and patios as well as alpines and rock gardens. Our decorative plum slate prevents the growth of weeds on precious gardening elements such as beds and borders. The decorative slate that we have in stock can benefit a number of garden items such as plant pot topping, water features or aquatics. Our decorative slate is distinctive and used regularly for landscape chipping. Our decorative plum slate is considerably durable, meaning it is recommended for use on paths and driveways alike. If you are looking for cheap slate that is also aesthetically pleasing and durable, our decorative slate and slate chippings are ideal. The slate is highly recommended as a decorative mulch if you are looking for a more "chunkier" look. Slate is known to be static meaning it could be used in or near to stocked ponds, and will not affect the pH of soils in any way. Tip: We advise you to wash the slate before use. 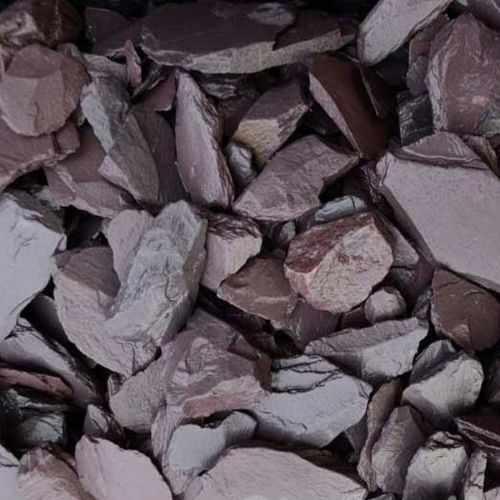 We offer delivery of decorative slate Manchester and Lancashire wide, so whether you need cheap slate in Burnley or slate chippings in Manchester, here at North West Aggregates we are dedicated to delivering the right decorative gravel for your needs.